#bendgate and iOS Bugs: Simply Social Scandals or A Sales Nightmare? Once people began to receive their iPhones, delight levels soared. 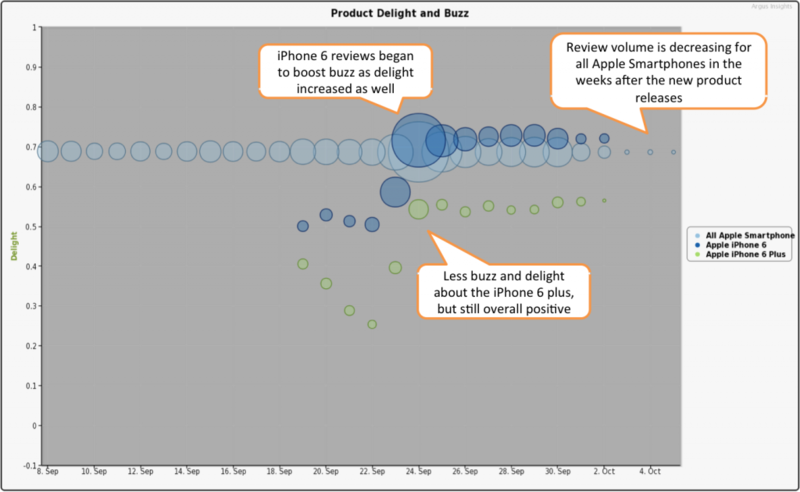 The iPhone 6 even achieved higher levels of delight than the average of all Apple smartphones. Negative comments were far outweighed by positive ones, as is demonstrated in the funnel below. Customers were happy with the size and weight of these rather large devices, and found them easy to use. The highest volume of negative comments surround the speed and performance, even so, positive comments overshadow the negative even in that category. While consumer reviews show an increase in delight, this story can be supplemented by examining social media. Delving into the phrases people used most in relation to Apple in the weeks after the iPhone 6 and 6 plus release; we can see discussion of ‘bendgate’ and software malfunctions. These setbacks caused considerable buzz on twitter and blogs during the same time period in which consumers were writing positive reviews. 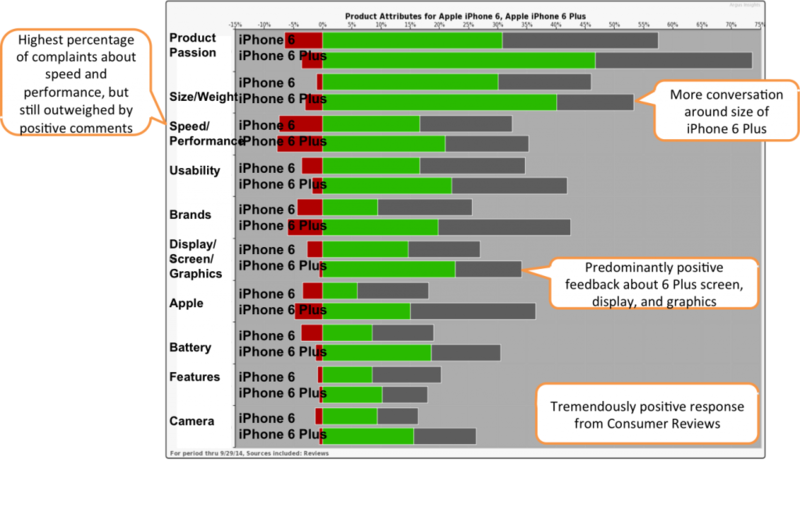 The negative social discussion surrounding the iPhone 6 and 6 Plus is not reflected as negativity in the product reviews. It seems that tweets of #bendgate and iOS malfunctions, although representative of existing problems, do not seem to be affecting consumer praise of the new iPhones. Please contact Argus Insights to find out how consumers are perceiving your products and brand.